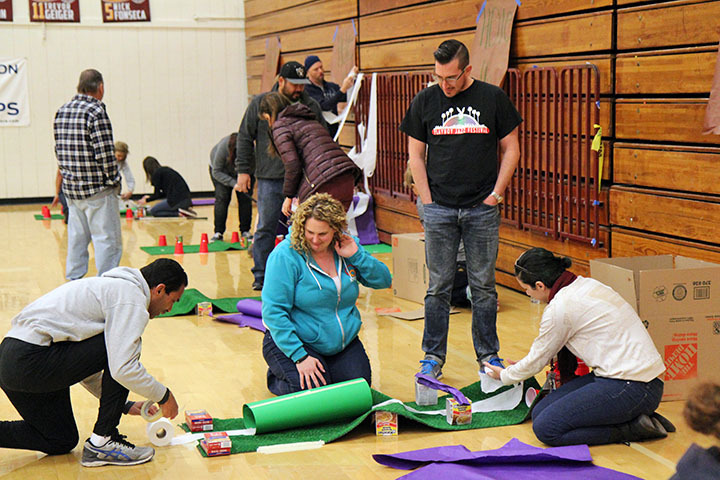 The Esperanza High School staff ended the first semester of the 2016-2017 school year with a breakfast and fun activity. 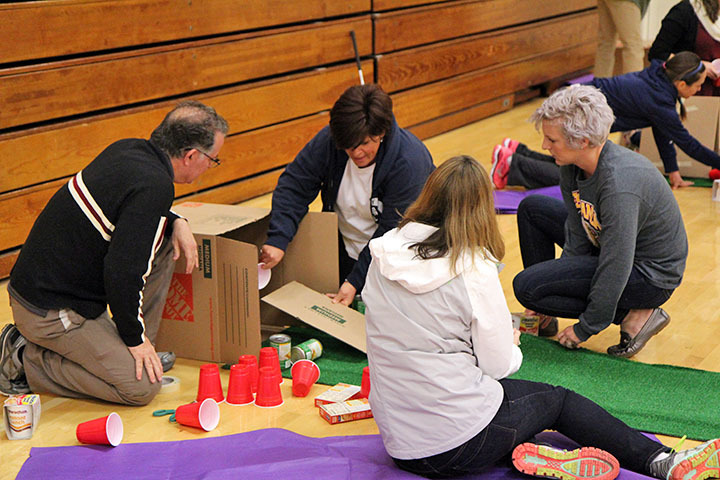 The administration, teachers and support staff created a miniature golf course, and then played each others’ holes in the gym. 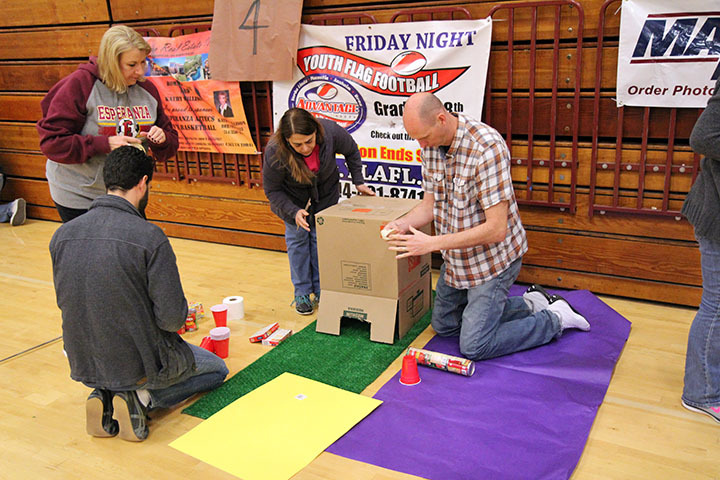 The players were split into teams based on the results of a Positive Behavior Interventions and Supports (PBIS) personality test. It was fun to see everyone working together, and cheering each other on. 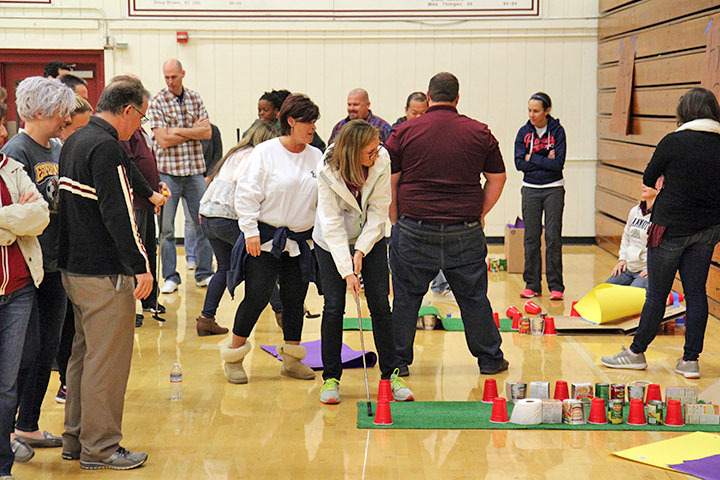 Be the first to comment on "As first semester comes to an end, staff at Esperanza celebrates with mini golf"